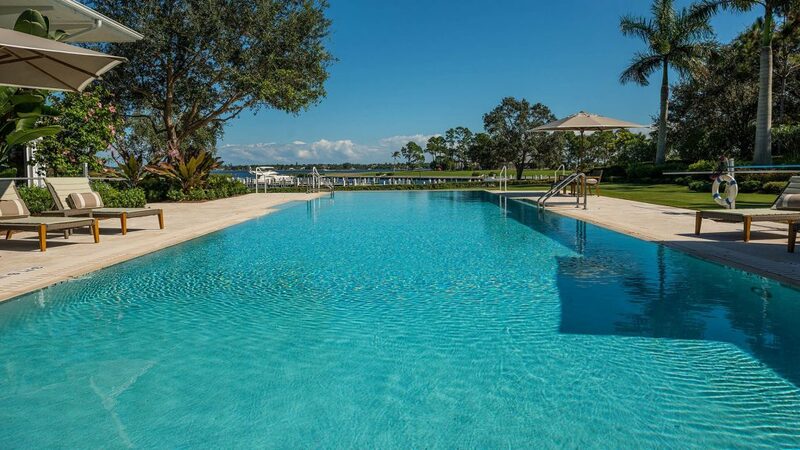 Always inviting, Floridian’s resort-style swimming pool, overlooks the beautiful St. Lucie River and Marina, and is perfect for anyone seeking a casual relaxing dip or soaking up some rays on the expansive pool deck. Poolside cabanas provide members and guests with privacy and protection from the Florida sun. If you would like to have a bite to eat while you relax, our attentive staff can offer casual fare for poolside dining.